Last week, a lawsuit was filed against the Central Intelligence Agency (CIA). The suit stems from a tweet made by President Donald J. Trump. On October 19, 2017, an investigative reporter for BuzzFeed, Jason Leopold, together with BuzzFeed, Inc., filed suit against the CIA. Their issue? The CIA failed to produce documents Leopold requested under the Freedom of Information Act (FOIA). On September 12, 2017, Plaintiffs submitted a FOIA request to the CIA generally seeking all documents, emails, Congressional correspondence, and records “mentioning or referring to CIA payments to Syrian rebels fighting Assad.” Plaintiffs received confirmation from the CIA that their request was received. However, Plaintiffs never received the information they requested. Taking issue with the Washington Post’s representation of his involvement in ending the alleged funding, President Trump took to Twitter to accuse the newspaper of disseminating false information. Unlike some of President Trump’s other tweets, Leopold says the issue with this specific tweet is that President Trump seems to acknowledge both the existence of a United States program to make payments to Syrian rebels and his decision to end it. Plaintiffs argue that the tweet “constitutes official acknowledge[ment] that the United States had been making payments to Syrian rebels fighting Assad.” They assert this official acknowledgement waives any protection of information and documents relating to its funding, thereby requiring FOIA disclosure. Under FOIA, an agency has 20 days from the receipt of a request to determine whether or not to comply by producing the requested information. If an agency fails to comply with FOIA’s time limit provisions, the requesting party will be deemed to have exhausted their administrative remedies. They can subsequently commence an action in federal court. Because the CIA did not timely reply to Plaintiffs’ request, Plaintiffs were able to commence this present action. FOIA provides for several exemptions, wherein agencies are not required to release the requested information. Specifically, information that is confidential, privileged, classified to protect national security, or would invade another’s personal privacy, are among the nine codified exemptions. Here, Plaintiffs only asked for information that is not subject to an exemption. Per Plaintiffs’ interpretation, President Trump’s tweet constitutes a waiver of the exemption pertaining to matters of national security. Because President Trump publically referred to, and impliedly confirmed the existence of, a United States program aiding Syrian rebels to fight Assad, Plaintiffs argue that President Trump essentially declassified the relevant documents. It is true that federal courts have held that “voluntary disclosure in one situation can preclude later claims that records are exempt from release to someone else.” In Nat. Res. Defense Council v. U.S. Dep’t of Defense, for instance, the court held that the Department of Defense must disclose two documents being withheld under a FOIA exemption. Because the two documents at issue were “provided to a non-government lobbying entity,” they were not exempt under FOIA. For their rationale, the court cited the oft repeated rule that voluntary disclosure waives later claims of exemption. That these documents were allegedly leaked was of no moment to the court’s decision. Because cases like Nat. Res. Defense Council v. U.S. Dep’t of Defense tend to involve disclosure of specific information to one party, whilst denying the same information to another party, the present case may be distinguishable. The tweet in this case did not involve disclosure of any specific information to one party versus another. President Trump’s tweet may have officially acknowledged a covert government program, but the program was already widely known to exist, and the tweet offered no substantive information about the program. Furthermore, because it was a public statement, there was no selective disclosure; all the world gleaned the same information (or lack thereof) from the tweet. Of course, this is not the first time the President has taken to Twitter to address matters of national security. However, if the CIA is compelled to disclose the requested information, the result could stir up quite the controversy. On a related note, this is not Leopold’s first time challenging an agency’s failure to comply with his requests under FOIA. Leopold has been called a “FOIA terrorist” by media sources such as Poynter because of his reputation for compelling disclosures under FOIA. In fact, it was Leopold who sued for the release of thousands of Hillary Clinton’s emails. At this point, it is unclear what the outcome of this suit will be. FOIA emphasizes making the “fullest responsible disclosure,” meaning that FOIA wants to provide parties with the information they seek whenever doing so is possible. That being said, it seems unlikely that Plaintiffs’ full request will be granted, as the requested documents are likely classified as matters of national security. When full disclosures cannot be made, FOIA requires partial disclosure of requested information—that which is not subject to one of the exemptions. With that important mandate, perhaps the court will decide the Plaintiffs are entitled to a partial victory. Only time will tell. 5 U.S.C §§ 552 (a)(3)(A), (a)(6)(A), (a)(6)(C)(i), and (b). Complaint, Leopold et al. v. Central Intelligence Agency, (No. 1:17-cv-02176) (D.C. Oct. 19, 2017). Chuck Stanley, BuzzFeed Says Trump Tweet Opens CIA’s Syria Docs to FOIA, LAW360 (Oct. 20, 2017, 4:35 PM). Benjamin Mullin, BuzzFeed News hires ‘FOIA terrorist’ Jason Leopold from Vice News, Poynter (Jan. 3, 2017). Faysal Itani, The End of American Support for Syria Rebels Was Inevitable, The Atlantic (Jul. 21, 2017). Lieber v. Bd. of Trs. Of S. Ill. Univ., 680 N.E.2d 374, 379 (Ill. 1997) (citing Cooper v. Dep’t of Navy of U.S., 594 F.2d 484, 485­–46). Cooper v. Dep’t of Navy of U.S., 594 F.2d 484, 485–46. Nat. Res. Defense Council v. U.S. Dep’t of Defense, 442 F.Supp.2d 857, 866 (C.D. Cal. 2006). The Travel Ban: Where does it stand now? On October 10, 2017, the United States Supreme Court vacated the Fourth Circuit Court of Appeals’ judgment in Trump v. International Refugee Assistance Project and remanded it to them to dismiss as moot. So, where does the travel ban stand now? On January 27, 2017, President Donald J. Trump issued Executive Order 13769, “Protecting the Nation from Foreign Terrorist Entry into the United States,” commonly known as the “Travel Ban.” After the Ninth Circuit blocked that Executive Order on March 6, 2017, President Trump issued Executive Order 13780, replacing the first travel ban. The new travel ban placed a 90-day freeze on travel to the United States from six “Muslim-majority” countries and placed a 120-day suspension for admission of refugees into the United States, effective March 16, 2017. On May 25, 2017, the Fourth Circuit upheld the Maryland District Court’s decision to block the ban. On June 1, 2017, the Department of Justice filed separate petitions with the Supreme Court of the United States to review the Fourth Circuit’s decision and to seek stay of both the Fourth Circuit’s and Ninth Circuit’s injunctions. On June 14, 2017, to clarify confusion on when the 90-day freeze and 120-day suspension would expire, President Trump issued a memorandum declaring “the effective date of each enjoined provision to be the date and time at which the referenced injunctions are lifted or stayed with respect to that provision[,]” thus extending the freeze and suspension to September 24, 2017. On June 26, 2017, the Supreme Court granted certiorari and granted the stay applications in part. The Supreme Court combined the Fourth Circuit and Ninth Circuit cases for oral argument, which was scheduled to take place October 10, 2017. On September 24, 2017, President Trump issued a proclamation that continued to restrict travel to the United States. 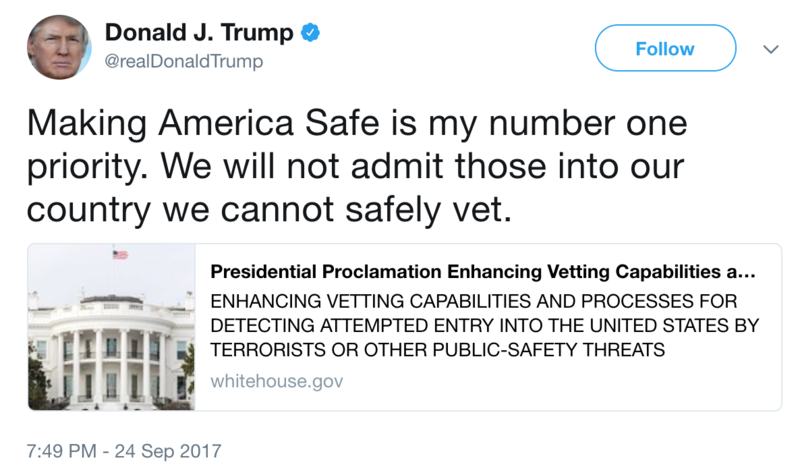 President Trump stated that he “must act to protect the security and interests of the United States” and he was committed to the “ongoing efforts to engage those countries willing to cooperate, improve information-sharing and identity-management protocols and procedures, and address both terrorism-related and public-safety risks.” President Trump commended the countries that “have made strides to improve their protocols and procedures” but noted that some countries still had inadequacies that posed significant challenges. As a result, Sudan was removed from the travel ban, but Chad, North Korea, and Venezuela were added. Consequently, the Supreme Court cancelled the arguments scheduled for October 10, 2017, because President Trump had, in essence, created another travel ban upon the expiration of the 90-day freeze. What does the Supreme Court’s October 10 ruling mean? The only decision provided by the Supreme Court is its grant in part of the stay requested by the Department of Justice. By the time oral arguments were set, the provisions of the travel ban had already expired, and on September 24, 2017, a new travel ban was issued. As there was no longer a “live case or controversy,” the Supreme Court deemed the challenge to the travel ban as moot. The Supreme Court has not expressed a view on the merits one way or the other about the travel ban. The Supreme Court’s order did not apply to the Ninth Circuit’s case, as the 120-day suspension of the refugee program is still in effect; however, that suspension will expire on October 24, 2017, at which time it appears that it will become moot as well. Aside from lawsuits, there are alternatives in the works to consider what limits should be placed on new persons arriving from countries that are believed to be a threat to the United States’ security. • 1720: Reforming American Immigration for a Strong Economy (RAISE) Act. Considering the foregoing, however, the new travel ban is likely to be challenged until the travel ban is finally heard by the Supreme Court and decided on the merits. It is expected that challenges to President Trump’s September 24 proclamation will soon be underway. We will have to wait and see how potential lawsuits and other alternatives will play out. Exec. Order No. 13,769, 82 Fed. Reg. 8,977 (Feb. 1, 2017). Exec. Order No. 13,780, 82 Fed. Reg. 13,209 (Mar. 9, 2017). Hawaii v. Trump, 859 F.3d 741 (9th Cir. 2017). Int’l Refugee Assistance Project v. Trump (Int’l Refugee I), 857 F.3d 554 (4th Cir. 2017). Int’l Refugee Assistance Project v. Trump (Int’l Refugee II), 241 F. Supp. 3d 539 (D. Md. 2017). Presidential Memorandum for the Secretary of State, the Attorney General, the Secretary of Homeland Security, and the Director of National Intelligence, WhiteHouse.gov, (June 14, 2017). Trump v. Int’l Refugee Assistance Project (Trump I), 137 S. Ct. 2080 (2017). Proclamation No. 9,645, 82 Fed. Reg. 45,161 (Sept. 24, 2017). Trump v. Int’l Refugee Assistance Project (Trump II), No. 16-1436, 583 U.S. __ (Oct. 10, 2017) (Vacating judgment in Trump I and remanding to the Fourth Circuit to dismiss as moot). Trump v. Int’l Refugee Assistance Project (Trump III), No. 16-1436, 582 U.S. __ (Sept. 25, 2017) (Directing the parties to file briefs addressing the September 24, 2017 Proclamation and cancelling arguments, pending further order of the Court). Amy Howe, Justices end 4th Circuit travel-ban challenge, SCOTUSblog (Oct. 10, 2017). Andy J. Semotiuk, America Braces For Trump’s New Expanded Immigration Travel Ban, Forbes (Sept. 24, 2017). The Senior Notes Editor of Syracuse Law Review is a position that covets many roles. An “SNE” must guide the 2L members through their Note writing process, contribute to the executive board of the Law Review, supervise 3L Associate Notes Editors in their duties, and stay on top of reading and research in order to best assist those 2L members who are doing the same. 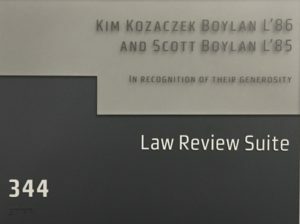 During the academic year of 1985-1986, Kim Boylan served as the Senior Notes Editor of Syracuse Law Review (then known as the Notes & Comments Editor). She, of course, sharpened her writing skills, practiced lessons in leadership, and was exposed to a variety of topics and personalities. Thankfully, lessons such as these do not wear off easily, for today, Kim is a partner at White & Case in Washington, D.C., where she serves as Head of the 100-member Global Tax Practice. Kim began her educational journey in Washington, D.C., when she attended Georgetown University. Graduating as an accounting major, and then receiving her CPA, Kim briefly considered law school before deciding to work for Ernst & Young (which was then known as Ernst & Whinney). 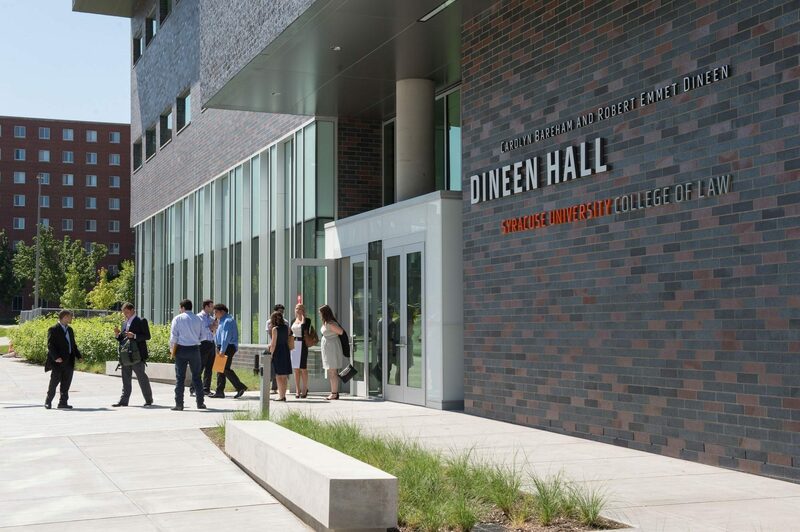 Starting in her second year at Syracuse Law in 1984, Kim dived into tax law head first. She took tax classes and trial practice, participated in Moot Court, joined Law Review, and even wrote her Law Review Note about the tax law governing certain stock transfers. After clerking, Kim went to work for Dow Lohnes and Albertson PLLC, followed by Mayer Brown. At Mayer Brown, she became a partner and focused on tax litigation. 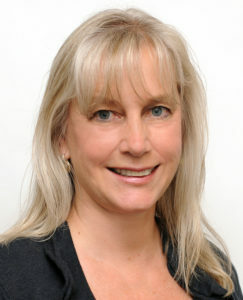 Kim was fortunate to be involved with two seminal cases at Mayer Brown. The first case involved Riggs Banks (now PNC Bank), a “small player” selected by the IRS as a test case. Following her time at Mayer Brown, Kim went on to be a partner at Latham & Watkins. There, she also focused on tax disputes work. Today, she’s carried all of those experiences into White & Case, where she enjoys working with large corporate clients who have complicated IRS tax disputes. She said the one common denominator in all of her work is that there’s always a difficult issue that needs to be resolved. Sometimes it’s a winner, sometimes it’s not, but it always requires a lot of factual development. With a storied career such as Kim’s, the question remains: what can today’s students do to work their way into a career like hers? Her response: be willing to work for it. This story was written by Legal Pulse Editor Samantha Pallini and is the fourth installment of Syracuse Law Review’s new monthly feature, “Alum of the Month.” Stay tuned for next month’s feature on another noteworthy Syracuse Law Review alumnus. Note from the Legal Pulse Editor Each day, the editorial members of Syracuse Law Review walk through the doors of Suite 344 to work on their edits and prepare for future issues. 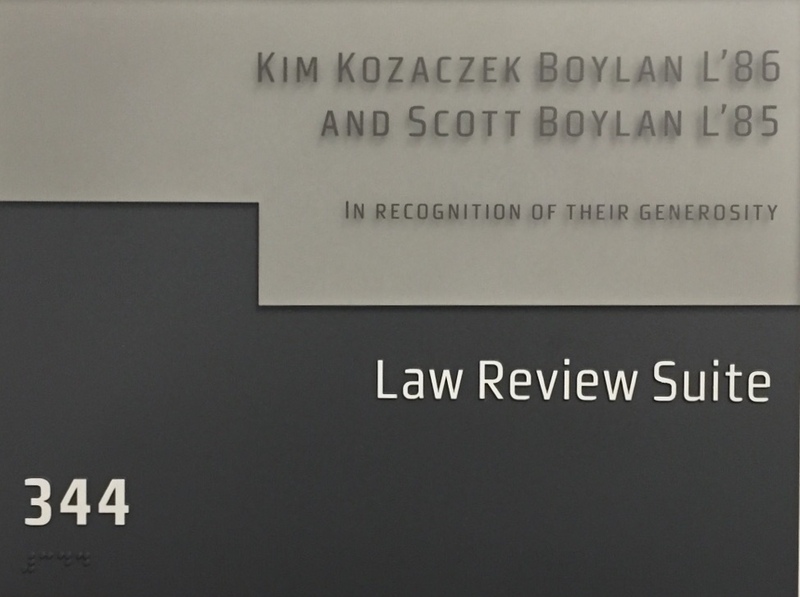 We want to thank Kim Boylan, whose name graces a plaque above our office door, for championing Law Review students and encouraging us in our work! The National Collegiate Athletic Association (NCAA) men’s basketball world got an early dose of madness this year. On Tuesday, September 26, 2017, the FBI made ten arrests, including four NCAA Division I men’s basketball coaches. These four coaches were arrested in connection with two related fraud and corruption schemes, and they have been charged with wire fraud, bribery, travel act, and conspiracy offenses. These charges prime each coach with up to eighty years imprisonment. In addition to these individuals’ criminal charges, the schemes open each coach’s respective university up to serious potential NCAA consequences, including fines, penalties, and the loss of eligibility to compete in NCAA events. The FBI and the United States Attorney’s Office for the Southern District of New York have been investigating the criminal influence of money on student-athletes and coaches in NCAA men’s basketball for two years. During this investigation, two related schemes were uncovered: the “Coach Bribery Scheme” and the “Company-1” scheme. The “Coach Bribery Scheme” involves advisors of athletes, who allegedly bribed assistant and associate head basketball coaches. Sometimes, with the facilitation of the coaches, the bribes were paid directly to the student-athlete. As part of the scheme, the coaches agreed to convince student-athletes to retain the services of the bribe-payors once the athletes began their professional careers in the National Basketball Association (NBA). The “Company-1 Scheme” involved advisors of athletes working with high-level “Company-1” employees, who allegedly bribed current and prospective student-athletes and their families, in exchange for a commitment by the athletes to attend a specific university sponsored by “Company-1.” There was also a further promise to sign agreements to be represented by the bribe-payors once the student-athletes began their professional careers in the NBA. Specifically, it is alleged that Person (Auburn University) solicited over $90,000 in bribe payments from a financial advisor and business manager for professional athletes, whom he did not know was providing information to law enforcement. Person facilitated several meetings between this advisor and players and/or their families, but he did not disclose to the players that he was being bribed to recommend the advisor. It is further alleged that Person gave over $18,000 of the bribe money that he received to the families of two student-athletes that he encouraged to retain the advisor. Similarly, Evans (Oklahoma State University) solicited at least $22,000 from the same advisor/informant, in addition to another advisor, in exchange for his agreement to steer some of his players at two NCAA Division I universities toward retaining the advisors when their professional careers began. The complaint further alleges that Richardson (University of Arizona), received about $20,000 in bribes from the same advisor/informant, as wells as two undercover law enforcement agents posing as the advisor’s financial backers, for his promise to convince his players to retain the services of certain advisors. It is also believed that Richardson provided some bribery money to at least one high school basketball player in exchange for his commitment to attend and play for his university. With respect to Bland (University of Southern California), it is alleged that he paid or arranged the payment of at least $13,000 in bribes, in exchange for his agreement to steer some of his student-athletes to retain certain business managers once they began their professional career. It is further alleged that Bland paid or facilitated the payment of $9,000 to the families of two student-athletes in return for setting up a meeting between the family member of the player and certain business managers to convince the player to retain their services. According to the criminal complaints filed by the U.S. Attorney for the Southern District of New York, the four coaches were charged under six sections of Title 18 of the United States Code, namely, section 371 (Conspiracy to Commit Offense or to Defraud the United States), section 666 (Theft or Bribery Concerning Programs Receiving Federal Funds), section 1343 (Fraud by Wire, Radio, or Television), section 1346 (Definition of “Scheme or Article to Defraud”), section 1349 (Attempt and Conspiracy), and section 2 (Principals). In more recent news, the government has brought these sorts of charges and allegations against politicians who abuse their position for personal gain. However, 18 U.S.C. § 666, the federal program bribery statute, effectively turns persons working at private universities into public employees. Consequently, it is a crime for officials of any organization or agency that receives benefits in excess of $10,000 under a Federal program to accept anything of value “intending to be influenced or rewarded in connection with any business, transaction or series of transactions” of the organization employing them. Additionally, under the honest services fraud statute (18 U.S.C. § 1346), schemes to defraud include those which deprive “another of the intangible right of honest services.” It is alleged that these coaches violated this statute by profiting off of NCAA violations at the expense of their respective universities. This complex investigation has the potential to become even more involved, with more schools being watched, and the FBI setting up a special telephone number to receive tips on other violations. 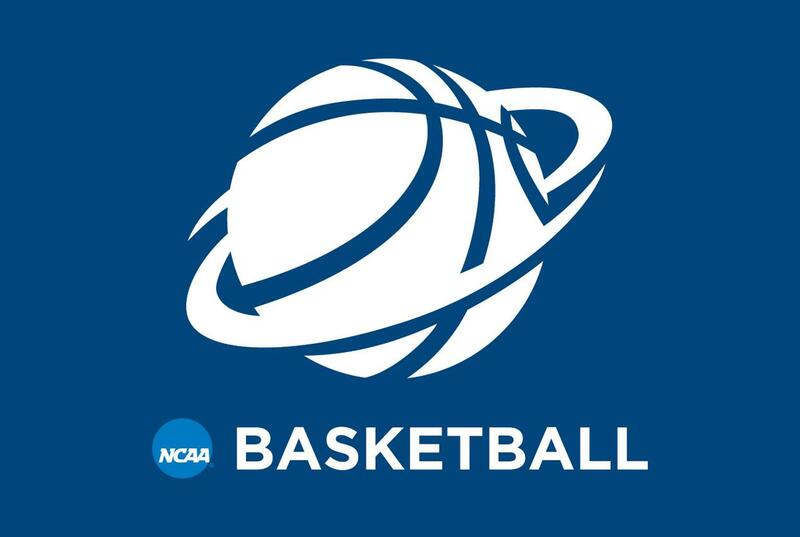 While the start of the season right around the corner and future of some programs uncertain, one thing is for sure: NCAA Division I men’s basketball is in for a little extra madness this year. Complaint, United States v. Evans, Richardson, and Bland, Sep. 25, 2017. Complaint, United States v. Person and Michel, Sep. 25, 2017. Peter J. Henning, Taking a New Strategy to Court in N.C.A.A. Case, N.Y. Times, Oct. 4, 2017. Press Release, U.S. Att’y Office S.D.N.Y., U.S. Attorney Announces the Arrest of 10 Individuals Including Four Division I Coaches, For College Basketball Fraud and Corruption Schemes (Sep. 26, 2017). On Tuesday, September 26, 2017, Syngenta agreed to settle one of the largest legal battles in the company’s 17-year history. 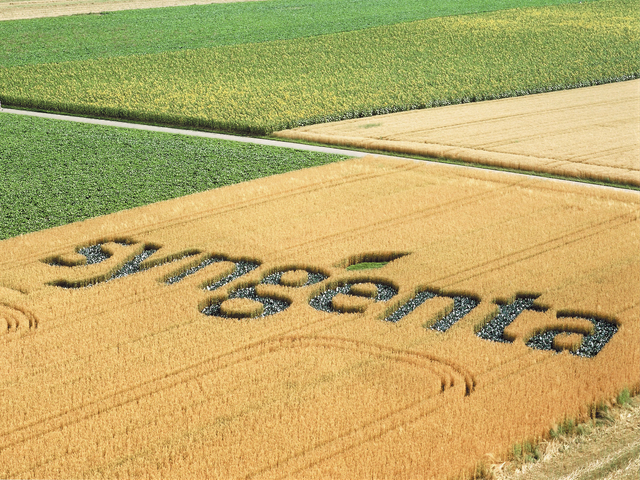 Syngenta is a Swiss-based agribusiness, with customers across the globe. In 2010, Syngenta began selling “a strain of insect-resistant GMO corn called Agrisure Viptera” in the United States, as well Agrisure Duracade, another string of GMO corn. In the United States, the process of commercialization for seeds with GMO traits requires several approvals from different federal agencies, where representations about the new GMO trait must be made. In its petition for deregulation, Syngenta stated that the two new GMO traits would not affect the U.S. corn export markets. It also stated in its petition that applications for approval with export market countries were underway and that Syngenta would educate its growers in order to keep the seed away from markets where it was not yet approved. In 2010 and 2013, the traits were deregulated in the United States, and the varieties containing the genes were commercialized for the growing seasons. During the 2012 and 2013 growing seasons in the U.S., Syngenta sold even more Viptera than the first year and did not require growers to implement any practices to reduce cross-pollination and contamination. Through cross-pollination, the GMO traits in Viptera contaminated corn grown by farmers who had not purchased Syngenta’s seeds. Additionally, both Viptera and Duracade corn was commingled at grain elevators and storage facilities. Syngenta originally applied for import approval from China in 2010, but it was not granted approval until December of 2014, three years after the commercialization of Viptera. Consequently, in November of 2013, China began rejecting all corn from the U.S. containing the GMO trait, saying it was contaminated. Due to cross pollination and contamination, banned corn included even that from farmers who had not purchased Syngenta seed. This major settlement, approximated to pay out close to $1.5 billion, came amid a trial in Minnesota state court in which “around 22,000 farmers were seeking $400 million.” It was also on the heels of a $218 million-dollar award to farmers in Kansas from a federal jury trial, in addition to numerous other pending lawsuits where farmers were suing Syngenta. The affected farmers claimed that the loss of the Chinese market caused corn prices to decrease significantly in the U.S., creating significant economic harm to them. Additionally, the farmers involved in the lawsuit argued that (a) Syngenta misrepresented how it would control Viptera from contaminating other crops, (b) Syngenta commercialized Viptera, knowing China would not approve the GMO traits until sometime after the trait had entered export markets, and (c) Syngenta actively misled both farmers and grain storage companies about the importance of the Chinese market and the imminence of its approval. The farmers also claimed that Syngenta knew China was a large and growing export market for U.S. corn. Syngenta responded by pointing to biotechnology industry lists from the years 2007 and 2009 – the years just prior to the deregulation of the GMO traits – which did not list China as a key import country for corn. Additionally, Syngenta argued that two droughts in the years leading up to the release of Viptera had increased corn prices, while a good year the same time Viptera was released set off a surplus season, dropping prices. Ultimately, a settlement was reached. According to Syngenta spokesman Paul Minehart, the $1.5 billion dollar sum is a settlement with more than 100,000 farmers, and resolves all U.S. farmers’ litigation. Geoff Colvin, Inside China’s $43 Billion Bid for Food Security, Fortune Finance (April 21, 2017). In re Syngenta Litig., No. 27-CV-15-3785, 2016 Minn. Dist. LEXIS 6 (Minn. Dist. Ct. April 7, 2016). Jef Feeley and Margaret Cronin Fisk, Syngenta Agrees to Pay More than $1.4 Billion in Corn Accord, Bloomberg Markets (Sept. 26, 2017). Todd Neeley, Syngenta’s Viptera Corn: Trial Dates Set in 7 of 22 Class-Action Lawsuits-DTN, Ag Fax (July 10, 2017). Photo courtesy of Farm Journal.